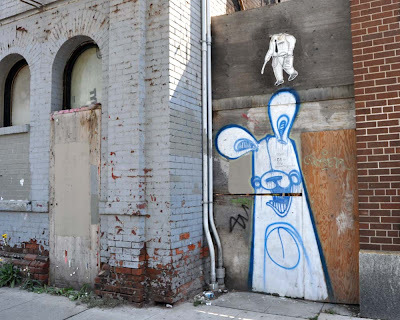 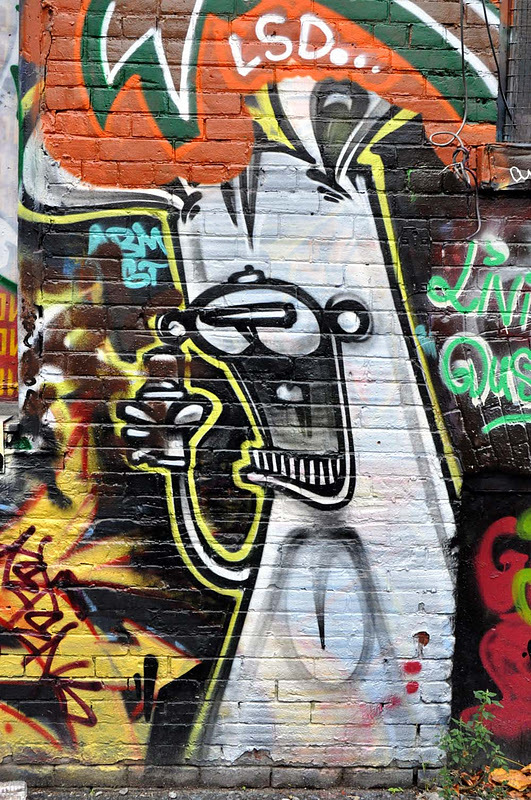 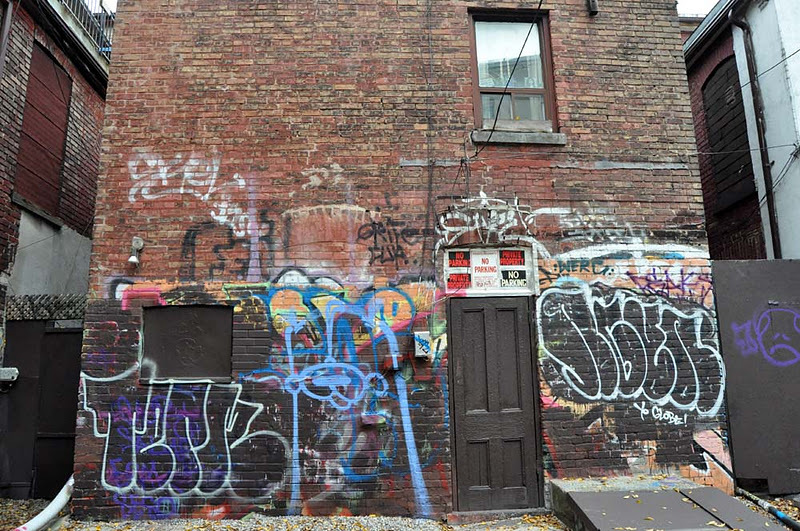 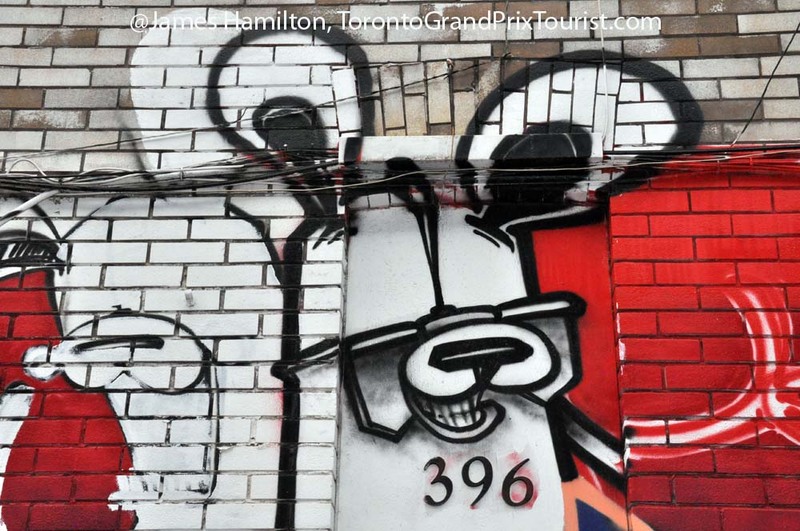 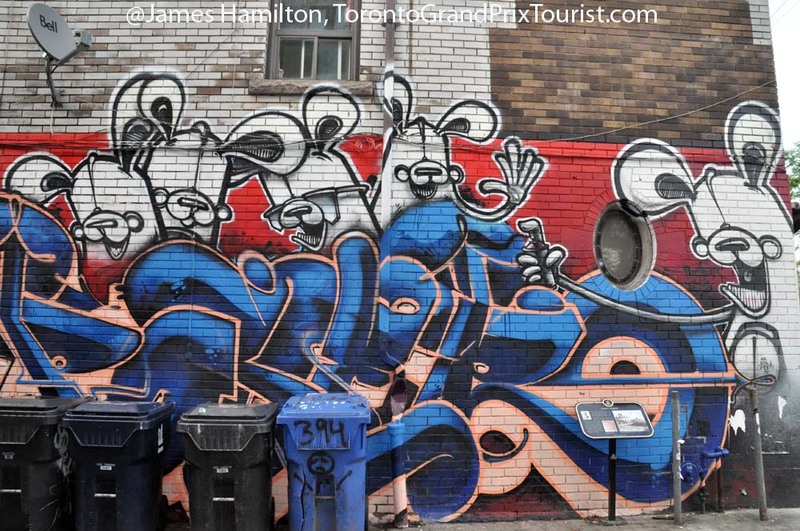 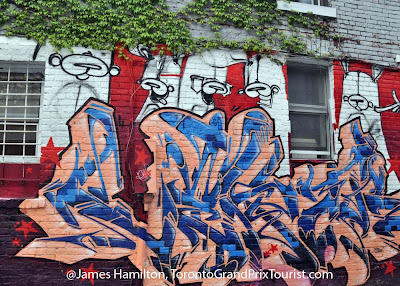 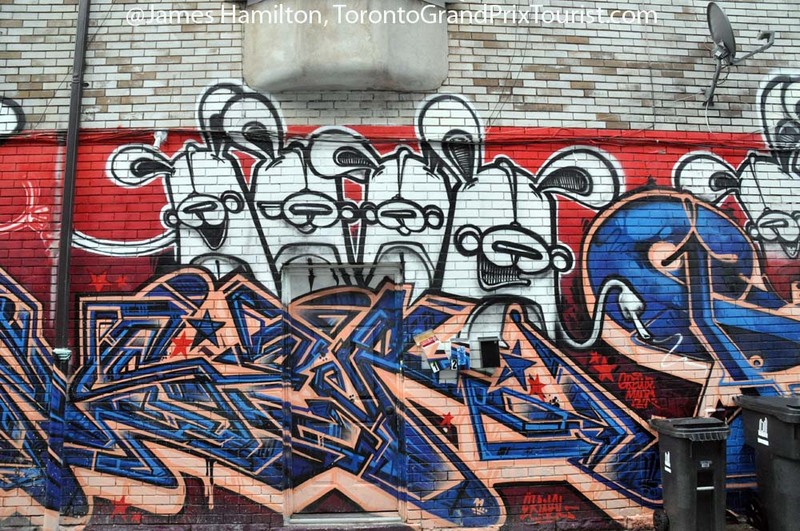 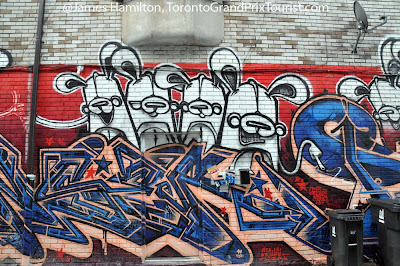 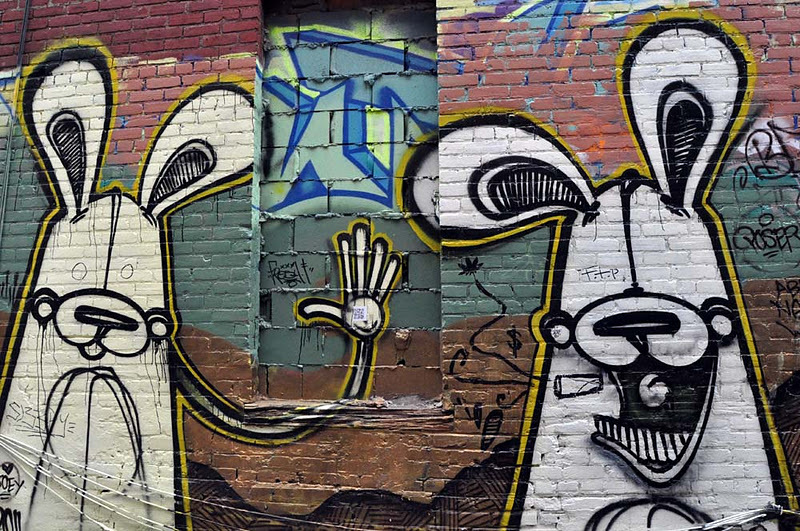 I was out and about checking out the mean streets of Toronto and I grabbed a few shots of graffiti. 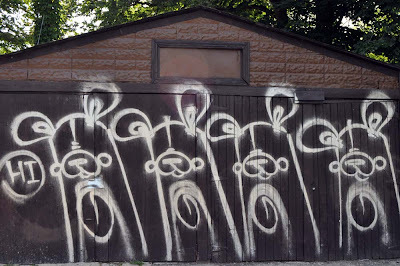 One of the pictures was of some white rabbits on a garage. Today I learned they were done by graffiti artist 'Poser' and described in this BlogTO article. 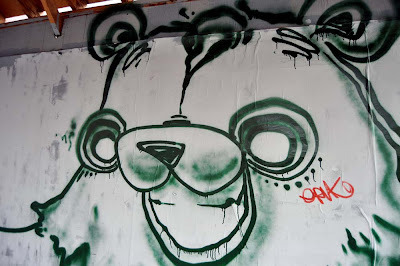 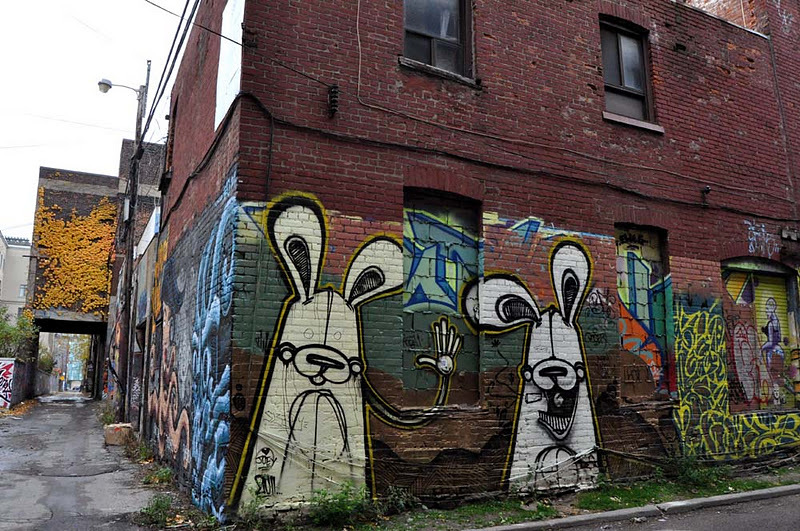 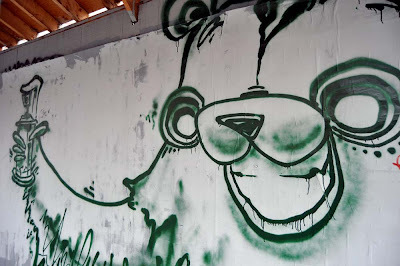 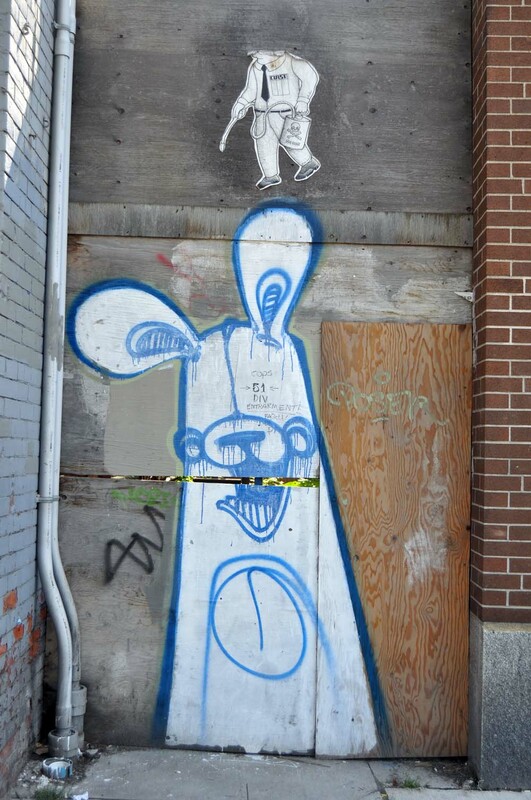 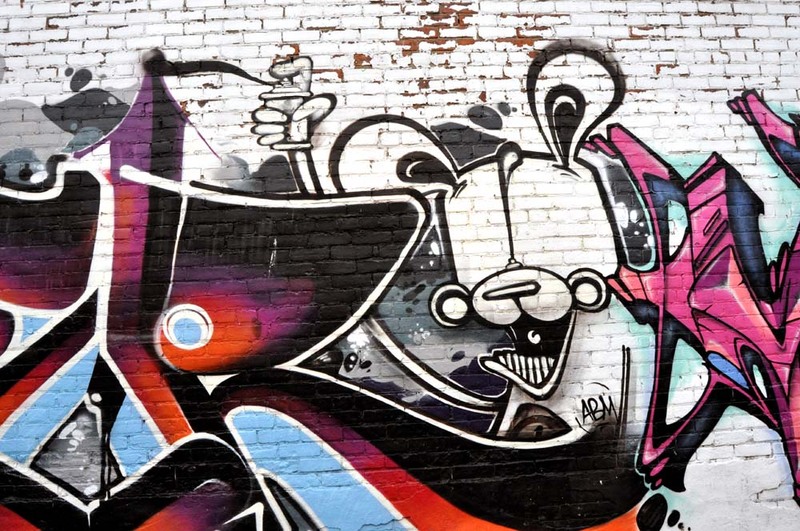 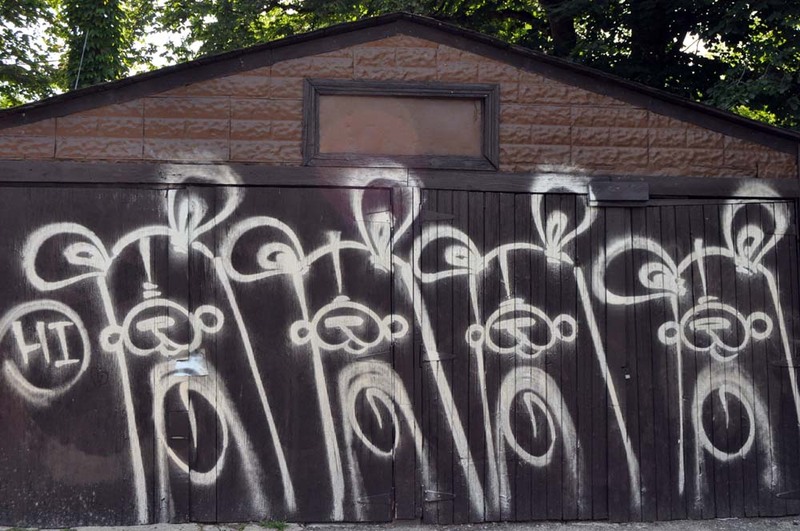 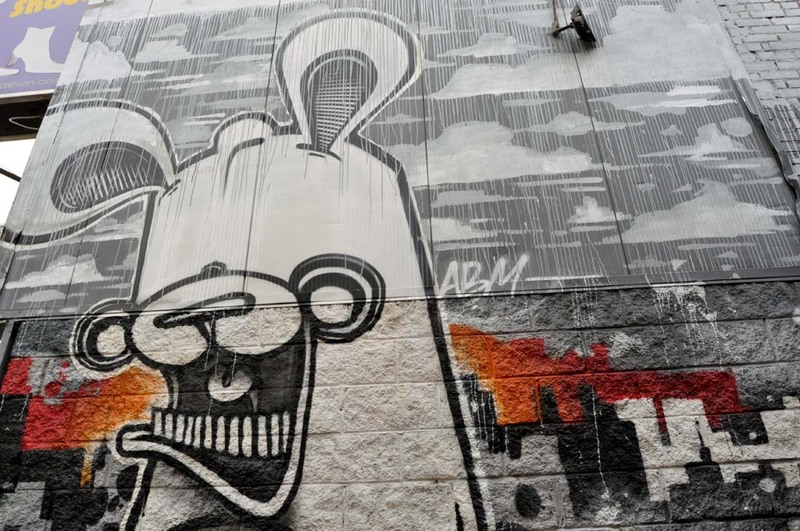 He has a few works around town and as he writes along the rail corridor - rabbits multiply. 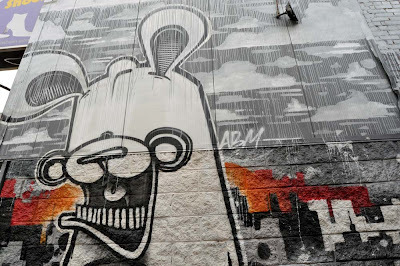 See more of poser's rabbits after the jump. See more rabbits after the jump. 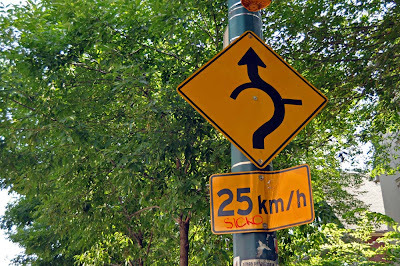 Now don't be a sicko but what is that thing sticking out on the sign?